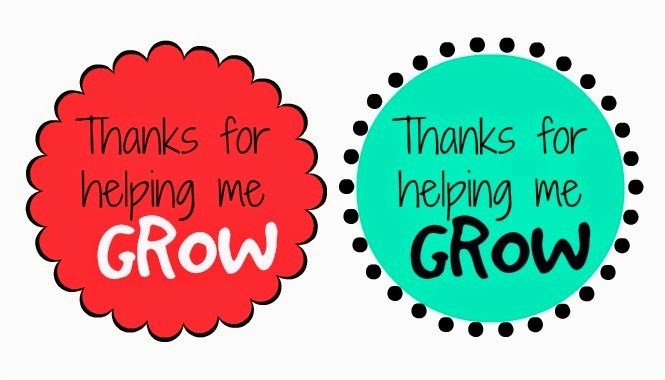 Did you know that this week is Teacher Appreciation Week? Totally is..and you're not too late to celebrate your child's teacher. (And hint, hint Mother's Day and the end of the school year are just around the corner, too.) This is a really quick, easy, and inexpensive teacher gift..plus I'm making it easier since I'm including some free printables. 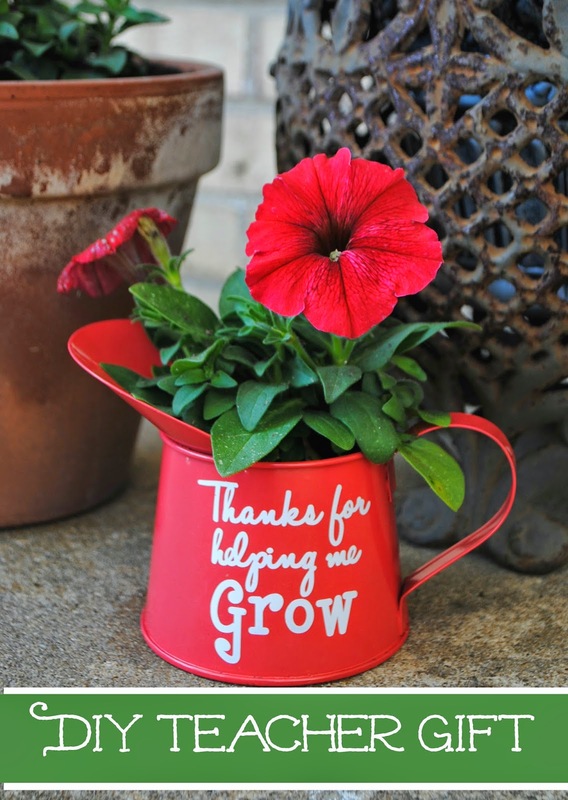 Plus, I asked my cousin - who's a teacher - what one of the best gifts she ever received from a student was and she told me a potted plant with a sign reading: "Thanks for helping me grow." So there you have it...this is a total win! I originally posted this project on our sister site Silhouette School since I used my Silhouette to cut vinyl for the lettering on the cans. But I thought I'd quickly share it here too since there seems to be some interest. I modified it by making some printable cards you can print out and use even if you don't have a die cut machine. 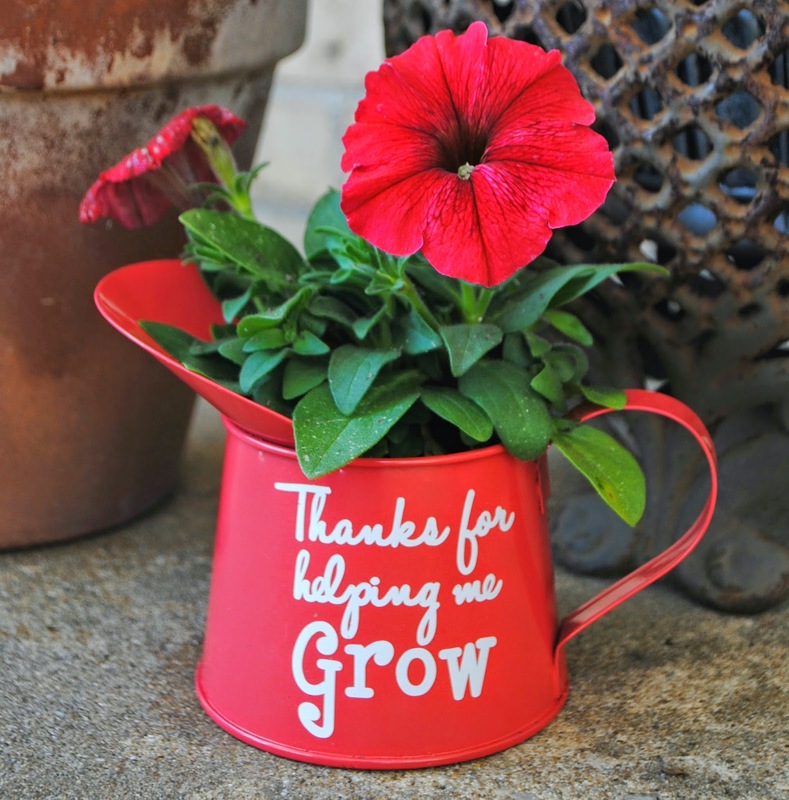 I apologize that I don't have any pictures of the watering can with the printable card - I actually already gave them to my kids' teachers! Now just print out the little cards on cardstock or regular printer paper, cut around the edge, tape to a popsicle stick or tooth pick. Click the designs below to download and print them out now. Then after you put the flower into the watering can you can add your card by putting the stick right into the dirt! If your watering cans don't have a hole in the bottom (and why would they??) you might consider drilling a water draining hold in the bottom. Just a thought that one of our observant Facebook readers brought up.